Fundraiser by Unity 1 Beauty Supply and Hair Salon : Help Us Bring Unity 1 Beauty Salon Back! Help Us Bring Unity 1 Beauty Salon Back! On March 20, 2019 at 8:30pm, many Lives were changed Forever! 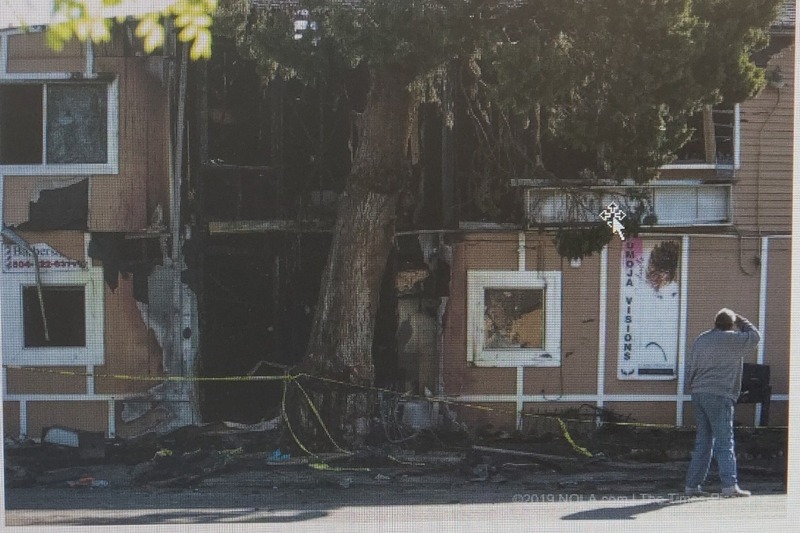 Unity 1 Beauty Supply & Hair Salon, a Broadmoor Beauty Salon, a Pillar of the Community was destroyed by a very unfortunate and very tragic accident. 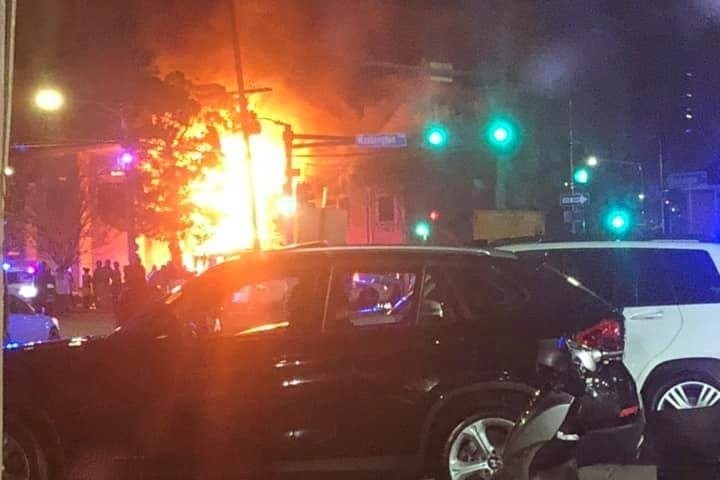 A speeding car crashed into Unity 1 and burst into flames causing a 3-alarm fire. Our stylists and clients were rescued by firefighters off of the 2nd floor of the building; but, the two teenagers in the car passed away at the scene. Schwann Herbert, a lifelong client of the beauty salon for 20 years has also passed away. Our hearts are heavy! The doors to Unity 1 Beauty Supply & Hair Salon opened 38 years ago. A Historic Landmark within the community. Not only a place to get your hair done, Unity 1 is a place for comfort, strength, and healing. Unity is known as a sanctuary…feeding the hunger and the homeless; finding shelter for those in need; providing job training classes while giving jobs to people of all walks of life; and providing holiday meals to all that would like to partake. Unity 1 is Home away from Home. Well known as a Family Place for Gathering…the Community Family Center. Unity 1 has groomed some of the top stylist in the City of New Orleans. Many stylists walked thru the doors of Unity 1, most, fresh out of beauty school to start their practice. Providing business and entrepreneurial skills and with their God given talent and passion, they would venture off to open successful salons within the City and Worldwide while keeping Unity 1 near and dear to their hearts. In the Summer of 1988, the New Orleans Beauty Classic and Trade Show was established drawing in tens of thousands of beauty professionals and attendees from all over the United States and abroad. The who’s who of the top hair manufactures like Soft Sheen, Bronner Bro., M&M, Clairol, Luster’s, and Revlon just to name a few were in attendance. Hosting a Prayer breakfast and Gospel night with the likes of Bishop Paul S. Morton and Pastor Debra Morton, Dr. Ray Iglehart, Bishop Darryl Brister, and Yolanda Adams. Special events and first-class guest celebrity acts like Jennifer Holiday, Evelyn Champagne King, Uncle Charlie Wilson, Klymaxx, Miss America Kenya Moore, Arnez J and many more. The New Orleans Beauty Classic Trade Show continued for 10 years. Unity 1 Beauty Supply & Hair Salon was established based on foundations of building a Family Business that people would take pride in coming to and that promise was fulfilled. Unity 1 is the staple of New Orleans, surviving the catastrophic destruction of Hurricane Katrina with over 10 feet of water. Now, New Orleans, it’s your turn, to support and help Unity 1 to come back Stronger, Bigger and Better than ever. We are New Orleans Strong! We will survive this devastation! The Unity 1 Beauty Supply & Hair Salon needs support to recover from this devastating tragedy. May God Bless You and Keep You! Unity 1 does not have insurance. No donation is too big or too small. Thank you.